University Press of New England, 9781584653974, 176pp. Sarah Anne Johnson’s interviews with authors have been praised for her “thoughtful and knowledgeable questions” (Bloomsbury Review) that “provoke thoughtful responses from her subjects” (Publishers Weekly) and provide “an opportunity to participate in intimate and often illuminating dialogue” (Library Journal). Johnson also travels to MFA programs across the country, teaching workshops in how to conduct an author interview. 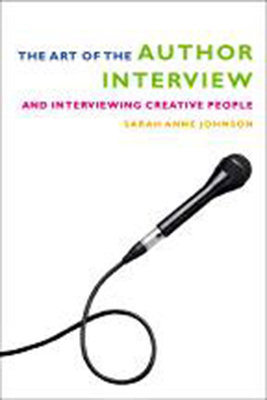 This book, based on that workshop, shows readers how to initiate, research, conduct, and publish interviews with authors and other creative people. Drawing on her own experience, Johnson not only covers the nuts and bolts of conducting the interviews, but she also offers an inspirational explanation of how the process can feed and enhance a writer’s own work and career. More and more MFA programs now recognize the need to equip their students with the tools for building a “writing life”; in this book, Johnson provides a practical, inspiring guide to one of the most popular forms of literary journalism. In addition, students of journalism and broadcasting, and even fans, will find its down-to-earth approach to authors and writing liberating. With examples, exercises, and step-by-step instructions, Johnson covers every step from preparation to publication. Widely praised for her own skillfully conducted interviews, Johnson is the perfect guide to this rewarding activity. SARAH ANNE JOHNSON is the author of Conversations with American Women Writers (UPNE, 2004). She teaches “The Art of the Author Interview” in the MFA programs at Bennington College and Lesley University, and at literary conferences nationwide. She has an MFA from Bennington College.